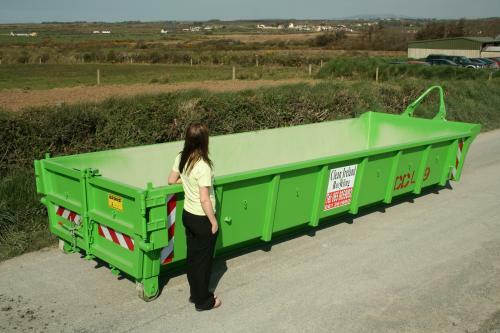 The “TYPE 20” skip from Clean Ireland Recycling is ideal for large scale construction works. Very easy loading. Can be loaded by wheelbarrow if required. Rear doors open to allow for full easy access. Suitable for mini-digger or mini-dumper if required. Low Low Cost of disposal. 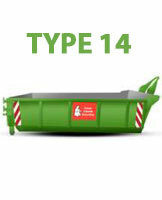 For a price on our TYPE 20 skip, please contact our office or send an enquiry by email. When the skip is filled, please contact us and we will arrange prompt collection. Suitable for Large scale clear outs, Large Home or Commercial renovations, Large scale Construction & Demolition projects, etc.